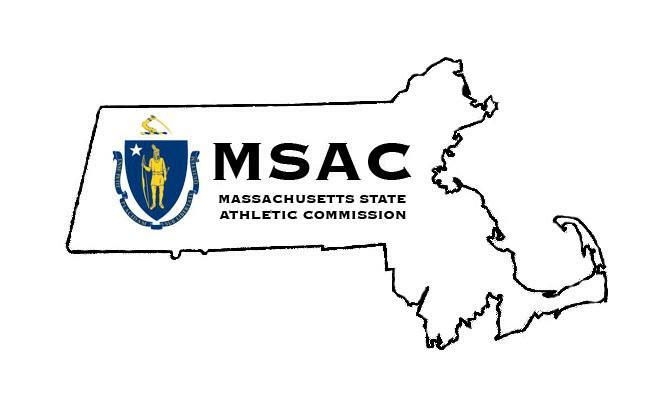 Bangor, Maine (August 7, 2018) – New England Fights (NEF) will hold its next mixed-martial-arts event, "NEF 35: Wicked Season," on September 8 at the Cross Insurance Center in Bangor. Earlier today, the fight promotion announced the addition of an amateur lightweight title fight to the card. Pat Kelly (4-0) is scheduled to defend his strap against the challenge of fellow undefeated MMA competitor Tim Manning (2-0). "I started this journey five years ago in Bangor with Young's MMA," said Kelly. "It is only fitting I have my farewell fight in the same great city. 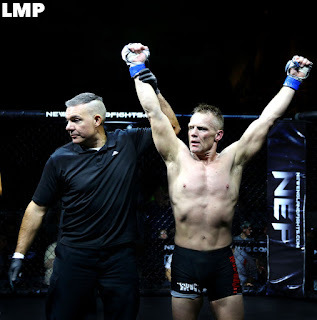 I am very grateful to NEF for the opportunity to fight in their cage and ultimately win an ammy title. To me, age is simply a number. I have searched for tough and competitive challenges my entire career, and this fight is certainly another big challenge." For all his accomplishments in wrestling, Kelly's time in the MMA cage has been impressive as well. He was able to finish his first three bouts on his way to earning a crack at the NEF Amateur Lightweight Championship. 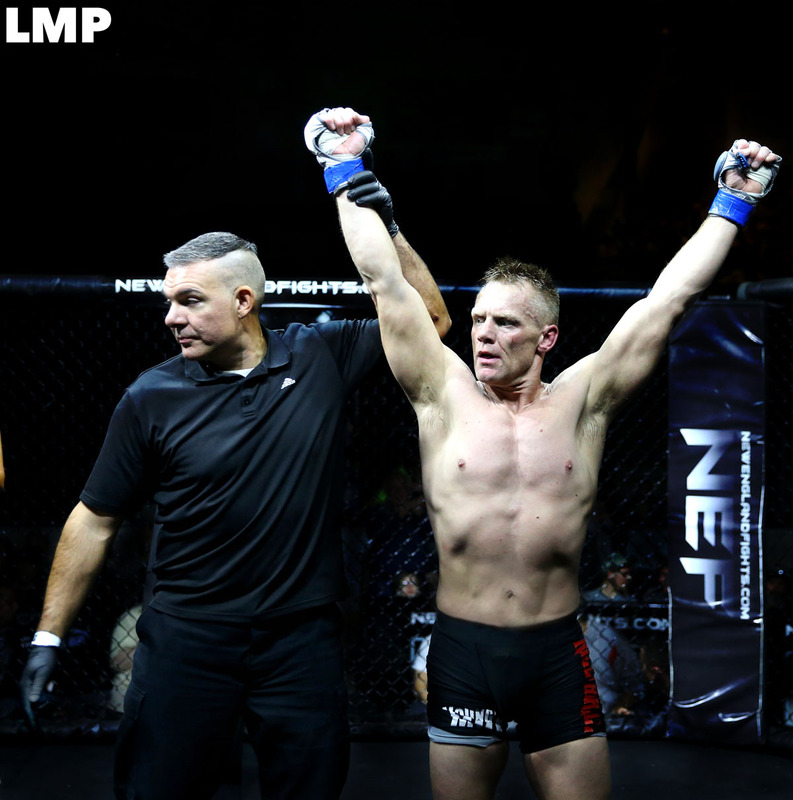 Last summer at "NEF 29," Kelly handed then-undefeated Rafael Velado (4-1), an athlete fourteen years Kelly's junior, the first loss of his career to claim the belt. Over a year later, Kelly promises to bring his trademark intensity to both his training camp at Young's MMA and his final fight on September 8. "I train hard, period," exclaimed Kelly. "And I am sure my opponent does the same thing, and that's what it is all about - the willingness to prepare to win. Additionally, it is important for me to let coach Chris Young and Ernie Fitch know that I truly have appreciated them letting me become a part of the Young's MMA family. To my teammates at Young's and to all my fans - thanks for the ride... I have enjoyed you all." Kelly's challenger on September 8, Tim Manning, is also undefeated. Fighting out of F2 Arena in Gainesville, Florida, Manning is nicknamed "Murder" for good reason. It took Manning a mere 37-seconds to submit his opponent with an armbar in his amateur debut last fall. He followed up that performance with another impressive first round submission earlier this year in his sophomore cage appearance.